While some problems can occur unexpectedly without any warning signs, this is not the case with the majority of garage door problems. Even something ostensibly minor like a noisier opener or unusually squeaky springs can hint that there is something wrong. Don’t ignore these signs. Act upon them. 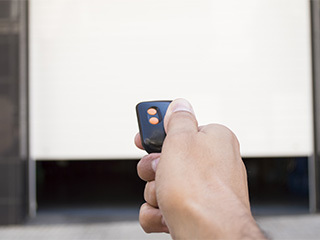 Our technicians have encountered practically every imaginable issue (and some unimaginable ones) that could inflict an automatic garage door system. There are some signs that can clue you into what type of problem you have on your hands. This is an easy one to fix, but you'd be surprised how often people forget to check for it. If your opener won't respond to your remote, the issue may not be a technical problem. Try using the wall switch. If it works fine, then the problem is definitely with the remote. Odds are, it's simply a matter of dead batteries. Replacing them should do the trick. You don't even need a professional for that. Of course, if the wall switch doesn't work either, and the opener's power supply seems to be fine, then the problem could be with one of its interior components, or with its drive system. Better let our experts take a look. People may think that misaligned tracks can be fixed with a little tightening with a screwdriver, but that's not the case. Attempting to correct the alignment of these components on your own could lead to a situation where the door gets off track. If you discover some bending, that too can cause a serious problem, as the rollers could end up sliding out. Straightening or realigning the tracks requires skill and experience, and it's better left to professionals. Contrary to popular belief, the opener isn't what's supporting the weight of the garage door panels. The springs are in charge of that. If they break, operating the door will be impossible, and may even lead to worse problems if attempted. If you suspect one or more of your springs broke (you may only have one unit, as is often the case with torsion springs) then you must not try to operate your door. It could seriously damage the opener if you do, not to mention, you could get seriously hurt as well. Broken spring replacement is a tricky and dangerous task, and you should never attempt to perform it by yourself. Did you know that your garage door opener has eyes? No need to worry, they’re not watching you. Rather, they are looking out for obstacles that get in the door's way, and alert the opener when they detect something. That is how the unit is able to keep from closing the door when someone is standing under it, and avoids potentially dangerous accidents. However, if these photoelectric sensors become misaligned, they will either cause the door to reverse for seemingly no reason, which is bad, or fail to properly detect an obstacle, which is worse. Either way, they'll need to be realigned, and, if their lenses are scratched, maybe even replaced. Remember, problems with your overhead door system can be very complex and trying to fix them without the right tools or the necessary training can be dangerous. Save yourself time, money and effort by contacting our professionals at Garage Door Repair Maple Grove and let us take care of the problems for you. What’s The Best Material For Your Garage Door?